Robin Wauters from The Next Web: How Should Startups Approach Media? It's no secret that early stage startups often do not know how to get media coverage. Their founders could be young economics students or programmers who are far better at what they do than writing a PR statement. Luckily, all of this can be taught simply by avoiding mistakes and following tips which gave Robin Wauters, European Editor of The Next Web at the RockPaperStartups conference which was held in Rijeka. 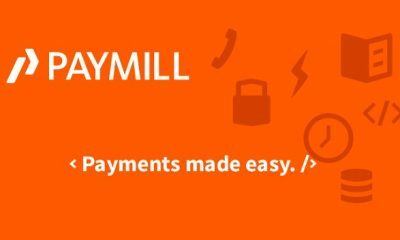 Paymill, an innovative online payment service provider who recently expanded to Croatia, introduced their services to audience during the RockPaperStartups conference which was held in Rijeka last week. The company is focused on startups and other companies as often they are the ones who don't want to be bothered with too much bureaucracy and paperwork and this is exactly what Paymill has to offer. Ivan Brezak Brkan 21. 7. 2013. In what was one of the most capturing lectures on RockPaperStartups, Alejandro Barrera from ﻿Spain gave the audience in insight into the most common mistakes startups make while presenting their project - during the pitch or online in general. Storytelling has became the new black - everybody thinks they know how to do it but there is a lot of bad stuff out there he added. Everybody loves Evernote and their products. Over the period of years the company started by Phil Libin launched several different products but their most popular one is definitely the one company is named for. To further explain how startups can use Evernote’s products, Emma Page from the European offices took the stage on the first day of RockPaperStartups conference. Alex Hunter, former head of the online marketing for Richard Branson's Virgin Group and today a CEO of startup Rushmore.fm, took the floor on RockPaperStartups to talk about getting noticed and standing out of the crowd. Ivan Brezak Brkan 19. 7. 2013. Panel Discussion on RockPaperStartups: How Can Big Brands Help Startups? Half way through the first day of RockPaperStartup conference, our Editor-in-Chief Ivan Brezak Brkan welcomed panelists from Google Ventures, Vipnet, Paypal and Eleven who discussed how big brands can help startups and how should they approach them - not just for the money, but for mentoring and other projects as well. Panel features Daniel Burka from Google Ventures, Miljenko Graovac from Vipnet, Corado Tomassoni from PayPal and Diylan Dmitrov from Bulgarian accelerator Eleven. Jared Goralnick, CEO of Awayfind and mentor to a several different accelerators such as 500 Startups and Founde Institute, opened the second day of RockPaperStartups in Rijeka by welcoming everybody and thanking Netokracija team for organizing "a truly inspiring conference". He started by saying that he’s been an entrepreneur for a long time, and that he is here today to point out some of the key things concerning building up and managing a successful business. Bogan Iordache, CEO of How To Web and Startup Spotlight held his presentation during the first day of RockPaperStartups conference which is being held in Rijeka. He’s been an entrepreneur and mentor to a number of startups and accelerators such as Eleven, LAUNCHub, TechStars and others, therefore he's pretty much familiar with all the mistakes new startups make. Mistakes that could be avoided. Just before we hit the break, Tak Lo, program manager at TechStars took the stage to talk about how to build the A-Team for your startup. Lo was a US soldier for two years (hence the title of the presentation) and the experience, he said, is something that made him a leader. He also added that time in the military taught him how to lead specific teams and how to further motivate his teammates.